IMPACT Silver has spent 10 years exploring and producing at its Zacualpan mine in Mexico and has overseen a steady state successful small silver project which CEO Fred Davidson says is ‘probably the purest silver play in Mexico’. 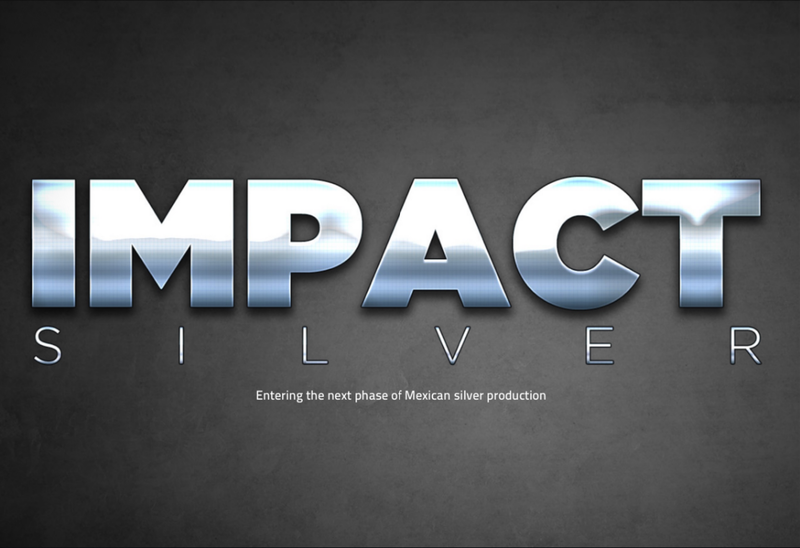 Since 2006, IMPACT Silver has grown from an exploration junior to a solidly producing small company with its own production plant on the project. Having hit record production at the mine in 2015 Davidson is now setting his sights on how he can evolve the project into its next phase. The site at Zacualpan has vast exploration upside. The first time Davidson and his team set foot on the project they quickly recognised that it was not just a singular vein and that what they were looking at could actually be the tip of the iceberg in regards to a whole region of silver mineralisation. Located in a historic mining zone, when the IMPACT Silver team set foot round the project they came across a number of old mining sites stretching 300 metres underground. A decade after first production IMPACT Silver had increased the rate going through the plant from 130,000t to 600,000t and secured an extension to the mine life which at one point was running at a month and a half now sits around three to four years. With current production sitting around 1 million tonnes per annum (mtpa), Davidson is hoping that by opening up new areas of the property and defining fresh mineral resources Zacualpan will make the step up to multi-million ounce production annually and propel IMPACT Silver into the ranks of the lower mid-tier produces. Once that level of production is secured, there should be sufficient recognition from the markets. Davidson has identified two avenues which he can follow to reach his goal of multi-million ounce production. Firstly, through exploration on the site and the nearby areas and secondly through an acquisition programme to bring strictly value-accretive assets into the portfolio. On the exploration side there is a lot to be positive about. IMPACT’s exploration work over the last decade has catalogued over 4,500 old mine workings and 42 historic processing plants leading to a confidence that this is a highly mineralised zone with much left to be exploited. With modern exploration techniques there is potential to substantially raise the production rate at Zacualpan. Even in the last few years, IMPACT has showed its skill in being able to bring through exploration targets into producing mines. Recent programmes have generated high grade drill results and pipeline targets including San Ramon, Alacran and San Patricio have been converted into producing mines. The property has two processing plants; Guadalupe production centre capable of processing 600 tonnes per day (tpd) and the Capire pilot plant which adds a further 200tpd of production capacity. The single property comprises four producing mines, San Ramon and Cuchara-Oscar which make up around 75% of total production and Mirasol and San Particio providing the remainder. The recent drilling programme was focused on expanding the new deep, high grade silver vein at the San Ramon Deeps zone of the San Ramon mine, which is already returning outstanding results. IMPACT Silver reported drill intercepts of last year including: 14.82m @ 481g/t Ag (including 9.95m @ 610g/t Ag), 21.74m @ 271g/t Ag (including 11.05m @ 402g/t Ag) and 10.02m @ 349g/t Ag (including 6.41m @ 465g/t Ag). IMPACT Silver said the highlights are some of the ‘best drill intersections this area has ever put out’ and that the area remains open for expansion in several directions. Looking forward to what further exploration could bring, Davidson and the exploration team have identified four separate areas for future exploration. To the East of San Ramon, Area 4 has been mapped to contain a multitude of silver and copper-gold veins and IMPACT will explore the area to identify targets. A reflection of this strategy is represented by the opportunity to build a mine around the Capire pilot plant. IMPACT is aiming to construct an open pit mining scenario called New Capire utilising the existing processing facilities to further bolster the production portfolio. According the New Capire NI43-101 mineral resource report in early 2016, New Capire holds 4.5 million ounces of silver at a cut-off grade of US$30/tonne. Davidson has laid out a three-pronged strategy to reach the goal of multi-million ounce production. First, to develop the current mine and mill complex so it’s producing a million ounces a year with plenty of life left. Second, explore for a potential new deposit that will provide the company with the step up to the 2 million ounce target and third looking at acquisitions that is accretive to the shareholders. 2017 has seen continued upgrades and expansions to existing silver production including mine development and drilling programmes at san Ramon Deeps, while the focus for 2018 and going forward is to drill out identified exploration targets, consider the potential for the San Juan gold-copper zone, depending on copper prices, assess the economic potential for the Capire open pit project and work towards hitting the 2 million ounces a year benchmark. With Davidson’s experience in the mining industry and a secure base production rate already at the project, you can hedge your bets that IMPACT Silver is in the driving position to become a multi-million ounce producer in the coming years.